Testex is the manufacturer of Press-O-Film replica tape. Press-O-Film provides inspectors and researchers a simple way to obtain an impression of a surface. Press-O-Film (POF) consists of a layer of crushable plastic microfoam coated onto a polyester film of highly uniform thickness. When compressed against a roughened material, Press-O-Film accurately replicates details of its surface roughness. An optical profiling interferometer or confocal microscope can be used in laboratory settings to produce maps of the replica's surface topography. This is most appropriate to study of subtle features at the microinch (25 nanometer) level. A Preventive coating is applied to the surface from preventing corrosion. In coating a puncture may be due to manufacturing process or any other reason. The damage in this coating is called "HOLIDAY". 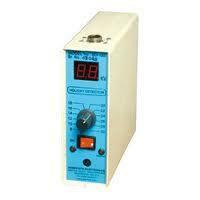 To detect Pinhole, Puncture & Blank portion in thick (1mm to 10mm) insulating coating on conductive Pipeline. Its range of voltage from 8 KV to 30 KV in 12 steps, allows you to set the voltage exactly to the level you desire for the coating you are inspecting, any pipe size from 2" to 60" whatever the coating may be somatic, tar, asphalt extruded coats, tapes or thin film epoxy coating. You have at your control the voltage setting that you require. One batteries and a universal charger are part of the package. More efficient circuitry means reduced current drain and prolonged battery life and cost saving. * Size : (W) 7" (L) 8.5" (H) 2.5"
Puncture & Blank portion in thick (1mm to 10mm) insulating coating on conductive Pipeline. 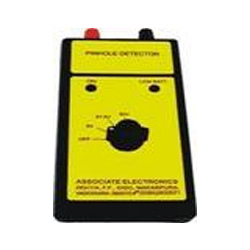 Samruddhi Industries, pioneers in manufacturing Pinhole Detector and ancillary testing equipments, now offers the latest innovative Model PD-90 that confirms the chemical fabrication field proven cases with advanced Technology in solid state circuitry that is simplified & more efficient with reliability.. 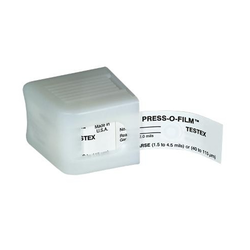 Looking for Testex Press-O-Film Tape ?